Granted, having three nearly 50-year-old rappers return for their first album together in such a long time was always going to be something of a gamble. Yet enough fans had faith in these hip-hop pioneers to pitch in over $600,000 – nearly six times the amount they had aimed for – when the group announced it would use donations from Kickstarter, rather than any record label, to fund its comeback record. For the most part, the faith these fans displayed is consistently rewarded throughout and the Anonymous Nobody… It’s a record that demonstrates that the members of De La Soul have impressively broad tastes in various forms of music, know how bridge the gap between young and new, and most of all, are palpably having a total blast being back in the studio together. The record is mostly pretty mellow, as De La Soul’s music tends to be, so it may seem out-of-place to call it a “roller-coaster ride.” Yet that is actually a fitting description for how freely the record shifts between genres and guest artists. The first two tracks feature soft acoustic guitars and spoken-word passages, with Jill Scott’s lyricism shining on “Genesis.” Hip-hop veterans Snoop Dogg and Pete Rock, who have been in the game about as long as De La Soul themselves, turn in impressively energetic verses on “Pain” and “Memory Of…,” and the latter track is further anchored by the soothing R&B instrumentals and the vocal power of guest Estelle. “Lord Intended” is one of the best summaries of all the bouncing-back-and-forth going on across this record. It opens with a hard-rock guitar playing that immediately indicates that the casual pace of the start of the record is immediately about to pick up. Amped-up rapping, a gospel choir belting, and a tremendous cameo from British heavy metal star Justin Hawkins soon follow. At least four genres combined in a single track. All of the above in the space of the first seven tracks. And another ten are still to come! Usher, 2 Chainz, and the former lead singer of the Talking Heads – where else have all three of them ever appeared on the same record? – are among the many powerhouses still to come. In terms of production and chemistry between the guest artists, and the Anonymous Nobody… is a record with immediate appeal. But what about the three rappers who make up the headlining act? The trio of MC’s known mononymously as Posdnuos, Dave and Maseo all seem to be in remarkably decent from, especially given how musically dormant they have been for most of the last decade-plus. Even while the record drags in some spots, the three still manage to delve into compelling narratives. “Greyhounds,” a story about a girl “fresh from a Bible belt town… she wanna new zip code for an old dream,” is one of the most impressive example of the group’s storytelling abilities. Given the group’s impact and longevity, that seems like a more-than-appropriate claim to be making. 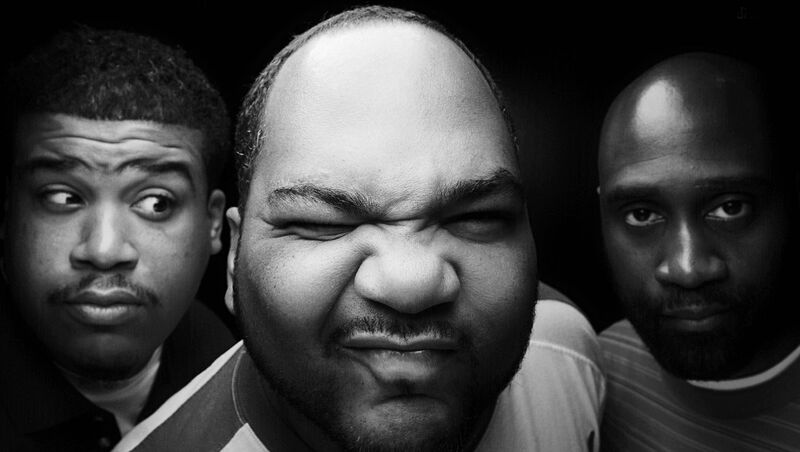 Overall, nearly three decades into their career, it is clear that De La Soul is plenty capable of delivering engaging and risk-taking music. Let’s just hope it doesn’t take a dozen years for the follow-up record to come out this time – although the notion of hearing what a trio of 60-year-old rappers might come up with certainly has its appeal.